The Cougar, or mountain lion, is secretive and solitary, inhabiting the remote regions of the Rocky Mountains where man rarely ventures. Cougars can leap forward over 40 feet and jump 18 feet straight up in the air. Their stealth and skill as a mountain hunter are legendary but rarely witnessed. 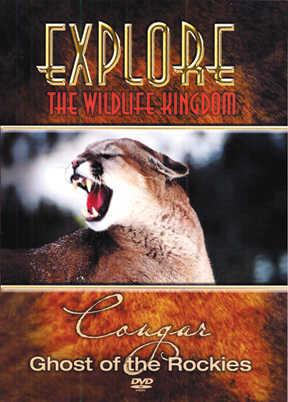 Wildlife filmmaker Jim Dutcher and Dr. Morris Hornocker, the world's leading mountain lion expert, spent two years in the wilds of Idaho to produce this rare and intimate portrait of a five year old cougar and her three kittens. Through spectacular photography, the elusive cougar is revealed as both predator and guardian, a mysterious phantom in nature's hidden world. Parent advisory. Contains scenes of life and death in animal kingdom.